Try a simple Iced Latte – Combine a double shot espresso with your choice of milk, cream, or syrup into a tall glass. Stir well, then top it off with ice for a refreshing café style beverage. Or, get fancy with an Affogato – Pull a shot of double espresso into a short glass and add a scoop of ice cream or gelato to experience a delicious dessert featuring hot and cold temperatures. The signature of a great cup of Cappuccino is the perfectly creamy texture of the frothed milk. 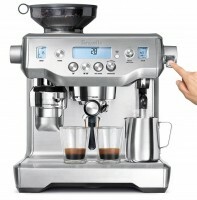 The Oracle will texture the milk to the desired amount of micro-foam and temperature of your choice. Try a delicious cup of Cappuccino – Pull a single shot of espresso into a ceramic cup, then swirl in perfectly frothed Cappuccino styled milk. Garnish with chocolate powder and enjoy. 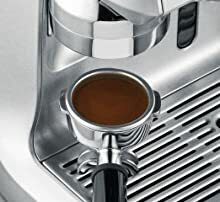 The Oracle One Touch Americano feature will automatically extract a double espresso, and combine the right amount of hot water from your choice of strength and S/M/L cup size. It is the perfect beverage for those who like brewed coffee. Just like the best coffee shops, this setting creates a balanced, aromatic cup of black coffee for you. A classic Latte is an espresso shot well incorporated with the right amount of steamed milk. 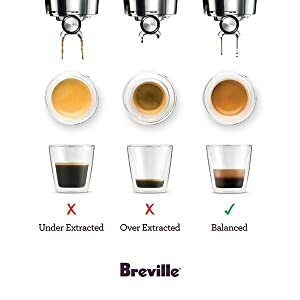 For a classic Latte – Extract a single or double shot of espresso into a short glass. Begin texturing milk to the desired temperature with The Oracle automatic frothing technology. 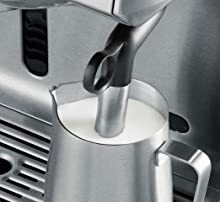 Swirl the textured milk within the stainless steel milk jug and then pour steamed milk into the center of the espresso shot. Ready to geek out with us? 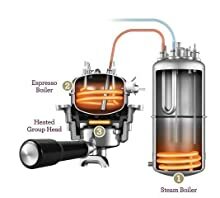 The Oracle is supported by an integrated Conical Burr Grinder, Stainless Steel Dual Boilers, Triple Heating System, a Heat Exchanger, Over-Pressure Valve, and Electronic PID Control. 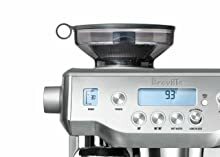 Programmable shot duration/volume, pre-infusion duration and water temperature for different coffee origins and flavor profiles. Adjustable grind size and tamp force to deliver a precise dose every time. Hands-free milk texturing with automatic purge and adjustable milk temperature between 130̊F - 150̊F, as well as adjustable milk texture from “Latte” to “Capp” style to support different brands and types of milk.